8 Forum Cards is an expansion for Concordia. 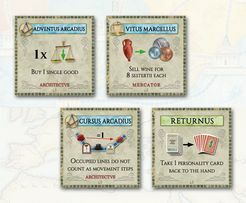 These 8 forum cards can be played with all variants of Concordia. It is a cardboard sheet with rules and also includes the Privilege Cards expansion for Navegador.